Welcome to the Premvan group of companies. 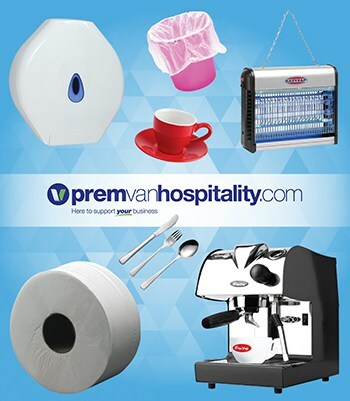 Premvan is the leading British manufacturer of paper rolls and dedicated supplier of business consumables into hospitality, retail, pharmacies and specialist markets. 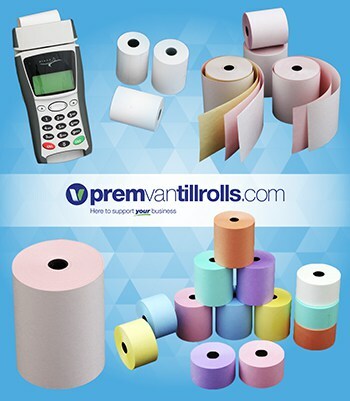 Premvan is the UK’s largest independent till roll manufacturer. EPOS, Credit Card, Chip & Pin, ATM and Kiosk, Transport, Tacho, Laundry and custom printed rolls. 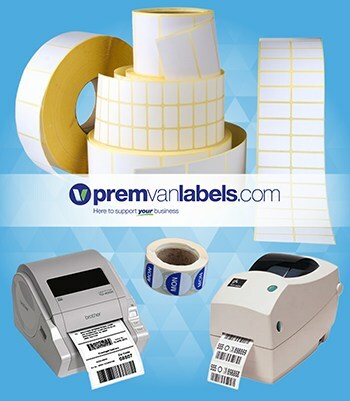 Premvan produce high-quality labels including barcode, linerless and custom printed and are one of the UK’s leading suppliers of transport and admission tickets. Premvan supports thousands of restaurants and hotels with their hospitality consumables from food rotation labels and waiter pads to allergy alert systems, tableware, kitchenware and stationery. Premvan is the specialist in pharmacy consumables, providing over 33,000 different products, including our patent pending controlled drug destruction kits. Premvan is a leading supplier of office supplies, including everything from stationery and ink cartridges to office furniture. Choose Premvan for all your paper and thermal roll needs. We offer superior quality at highly competitive prices and you can rest assured that all of our till rolls are 100% British manufactured. We produce high-quality labels including barcode, linerless and custom printed labels and provide a wide range of specialist labels for the hospitality sector including day dot labels, food rotation labels and allergen alert labels. We are supporting thousands of restaurants and hotels with their consumables from food rotation labels and waiter pads to allergy alert systems, tableware, kitchenware and even stationery. 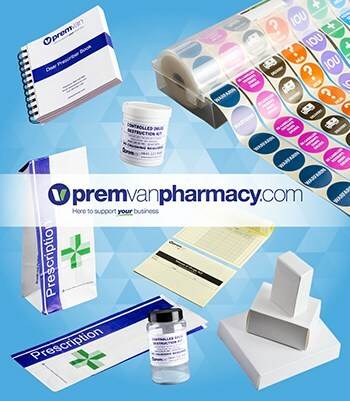 Premvan Pharmacy is the specialist in pharmacy consumables. Our team helps customers across the pharmacy sector (from hospitals and large pharmacy groups to small independents) save both time and money on their pharmacy consumables whilst complying with all relevant legislation. 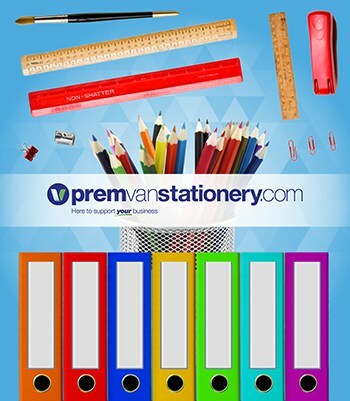 With thousands of products online, Premvan Stationery can accommodate your every stationery need… from pens, paper, ink cartridges and office machines through to warehouse and janitorial supplies.